 The Scene Magazine - Page 4554 of 4581 - What's up Toronto? Influences: Mutemath, Copeland, Brand New. Colour Color are a rock duo based out of Newmarket, Ontario. It is comprised of Johnny Simmen (lead vocals/guitar) and Kyle Sipress (lead guitar/back up vocals), with the help of Mark Schroor (drums) and Steven Foster (bass) during their live shows. I first heard the band when they performed in Halifax, Nova Scotia. Immediately I was captivated by their sound and very intimate performance. I was sold, and after the show I promptly purchased their CD. The simply titled Colour Color EP was recorded at the legendary Flying Blanket Studios in Mesa, Arizona. It is certainly a breath of fresh air in the sometimes stale and bland rock genre. The songs on the EP really showcase the bands ability to write catchy pop-rock songs, whilst remaining true to their overall sound. Vocals are a stand out aspect for me. Intriguing and unique, they really bring the tunes to life. The songs are very upbeat and every one of them will leave you with a smile on your face. Full of clever lyrics and catchy hooks, this collection of songs is not one to be missed. Colour Color give me hope that meaningful and heartfelt music is still thriving. Be sure to check out their five song EP, available on iTunes! The Good: Ill leave you with my standout tracks from the album, My Prize and Someone Else. The Bad: The only thing I dont like about it is that it leaves me wanting to hear more songs! Very talented group of guys. The Ugly: Currently, the band is back in Arizona (which means Canada will miss them) recording their first full-length album. Make sure you keep your eyes peeled for its release! Cant wait to hear what they come up with!